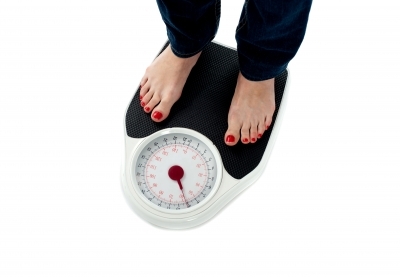 Eating disorders afflict millions of people every year. According to the experts at PsychCentral, right around 90 percent of those people are young women and teenage girls. Eating disorders include Bulimia and Anorexia, and they can begin for a number of reasons, but it’s believed that when women are young, they’re more susceptible to being worried about body image. Many of them begin extreme diets while they’re young, which can result in eating disorders. If you think you might be suffering from an eating disorder, I’d like to encourage you to take a few minutes every day and begin working on changing your body image. A positive body image is one of the first steps toward healing. However, creating this new body image begins with you. Here are a few exercises you can do to help you get on the right track. Can you think of anything else your body can do? It might be difficult for you to think about things that you like about yourself without thinking of what you look like, or your weight. However, I’d like you to make another list of the positive qualities you have. What are you good at? Do you have hobbies you enjoy? What do your friends say about you? Once you have a list of things you like about yourself, I’d like you to read this list every day to reinforce your new, positive body image. In addition to reading your list, try looking in the mirror and reinforcing these positive thoughts about yourself by saying them out loud. Tell yourself the things you like about yourself. You’ll find that you can be your own best coach, and by verbalizing the things you like about yourself, and refraining from negative “fat talk,” eventually, you’ll begin to believe the things you say. It might take some time for you to retrain yourself not to say negative things about your body, but work on stopping as soon as you find yourself starting, and replace the negative with positive remarks. It really does work! Speaking of friends, it might be a good time to evaluate the people you consider to be your friends. Real friends love you for who you are, regardless of what you look like. They’re supportive of you, and they don’t turn their backs on you just because you have a bad day. Real friends release positive energy into your life, and you feel energized after spending time with them. Knowing these things, can you think of anyone in your life that you should start spending less time with, as you seek to build a more positive body image? When it comes to body image, remember, you’re in control of how you see yourself. You have the power to change the way you see yourself, and by doing these exercises, you can begin to make those changes. If you’re concerned that you might have an eating disorder, it’s a good idea to talk with a professional who can help you. Healing is available for you, and I would love to help you find it. For more information on my eating disorder counselling services in Vancouver, please contact me today.